We exist for one reason – to serve our customers. It’s our job to make your work easier and to take the hassle out of the records retrieval process for you. It’s our passion and delight to be ever helpful to our clients. When we serve our customers, it’s not enough for us to do the minimum to get by. We strive to go above and beyond the call of duty and anticipate what else you might need with your request and then bring that to your attention. We’re also quick to act and work hard to get it right the first time, every time. When firms team up with us for their records retrieval needs, they’re pleased to see how much we help with streamlining aspects of their operations. 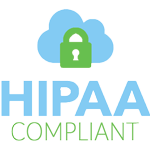 We save firms time, money, and effort by taking records retrieval off their hands, and we ensure peace of mind by updating our online secure, HIPAA-compliant portal throughout the retrieval process so no one’s left in the dark about anything. Speaking of making life easier, that’s exactly what we aim to do. Law and insurance professionals are busy people in high demand. It’s our job to make your life easier by taking the huge task of records retrieval off your mind so you can focus on the higher value work of your position. Everyone wins when we team up and play to our strengths. Best of all, you can sign up for a free account here and give our system a test drive. You only pay for requests submitted—we don’t require monthly contracts or hefty fees. There’s nothing to lose and much to gain by giving our service a try.